These are the perfect Rock and Pop Function Bands for weddings, corporate events & parties in Greater Manchester, locally sourced by our entertainment experts. 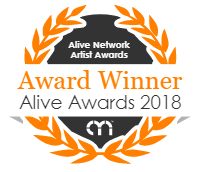 Find the best Greater Manchester Rock and Pop Function Bands only at Alive Network, the UK's biggest entertainment agency. A Modern, Fresh, Premium 4 piece party band made up of professional musicians who have worked with The Script, Paloma Faith & more. With fantastic female vocals, The Blakes perform dancefloor hits from the 60s to current banging chart hits! The Family are a 4-6 piece Funk, Soul & Pop party band, performing a superb mix of classic and contemporary dance floor fillers. One of Manchester’s finest function bands, the band work closely with you to ensure that the music for your event is perfect! The 45s are a retro style band who perform unique live sets! Covering music (in their own vintage style!) from artists such as Michael Jackson, Bill Withers, Jessie J, The Beatles, Estelle & more, The 45s are a cool & quirky band perfect for your event! The Silks are a combination of powerful vocals & high quality of musicianship, featuring some of Manchester's most established & talented musicians. With a killer repertoire, expect to hear music from Daft Punk, The Beatles, The Killers, The Jam and more! Alive Network are the largest Function Band agents supplying Greater Manchester and one of the leading entertainment agencies in the world. We specialise in booking Rock and Pop Function Bands for weddings, corporate events and private parties.